"Just bought Canon HF S10 last week. Of course I like it. But I've realized that it records files with MTS extension. Before I’ve used mostly free Handbrake for converting general video into MP4 video, because it’s free. Now the thing is somehow Handbrake doesn't recognize about 30% of my MTS files but give "No Valid Source Found". Can anyone help me reach another best way to convert .MTS files to .MP4(H.264 video) that i am able to import them to Premiere (which is not possible with MTS nor is it in final cut pro)." MTS format is a high-definition MPEG, AVC, H.264 transport stream video format, which is widely used by HD camcorders. The AVCHD(*.MTS) format has become a very popular format for sharing movies because it works well with retaining the quality of high definition movies. It’s a popular demand to convert MTS to MP4 these days because MP4 format is widely supported. In this guide, I’m going to share with you the best way to do the conversion on Mac and Windows without quality loss. The latest version of Handbrake can recognize .MTS files, but sometimes it is really not compatible well with them. To convert MTS to MP4 on Mac, I recommend iFunia Video Converter for Mac (which fully supports the lasted macOS 10.13 High Sierra), the easiest solution to convert MTS files to MP4 format on Mac without quality loss. This versatile video converter for Mac developed by iFunia can also rip DVD, burn video to DVD, download online videos from 1000+ sites and edit videos. It just takes three easy steps to convert your MTS files to MP4 videos on Mac OS using this MTS to MP4 converter. You don’t have to be an expert to do the conversion. Just run the app, open video, select the output format and press the conversion button. Here are the easy steps. Now run iFunia Video Converter for Mac and click the Media Browser icon at the upper right corner of this app to add MTS or M2TS files. This Mac video converter also support dragging and dropping files. You may add as many MTS or M2TS videos as you want to convert MTS to MP4 in bulk. Select an MP4 output format for each video file. MP4 file format is supported by most media players and digital devices such as iPhone 8, iPad, iPad Pro, PSP, etc. Remember that the output file size mostly depends on the Bitrate you set. Larger Bitrate, larger file size. Actually video with bitrate as 768 is acceptable for watching. Now you may click the conversion button to begin converting AVCHD MTS to MP4 video. The convert progress bar shows you how much of the encoding is completed. The encoding time will depend on several variables including: the duration of the video file, the speed of your computer, what other activity your computer is currently doing and the bitrate you set. 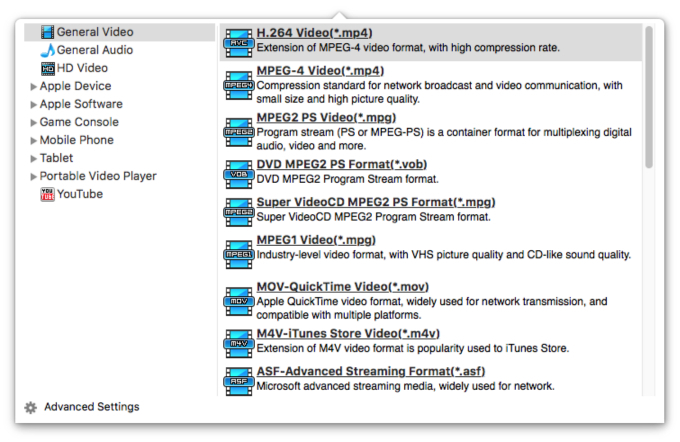 This is how this MTS to MP4 converter for Mac works. If you are a Windows user and want to convert MTS to MP4 on your PC, you can use Any Video Converter. Here’s how it works as a MTS to MP4 converter. 1.Download Any Video Converter and install it on your PC. 2.Run the software and add MTS or M2TS files. There are two choices. You can either click the Add Video(s) button to add files or direct drag and drop files to the main interface. 3.Select MP4 as the output format and click the Convert Now! button to start the process to convert MTS to MP4. The two MTS to MP4 converter software applications are able to convert various video and audio formats to different formats with high quality conversion and high speed. After converting your favorite MTS or M2TS videos to MP4, you can play the videos on all popular media players and digital devices. Do you find this guide useful? Welcome to share your opinion on this article.